Florals, for spring… how original. There’s a lot more to this budding season than hay fever and having to stick googly eyes on your helmet, and we’ve heard word of the good stuff. Got milk? Gelato Messina sure does! 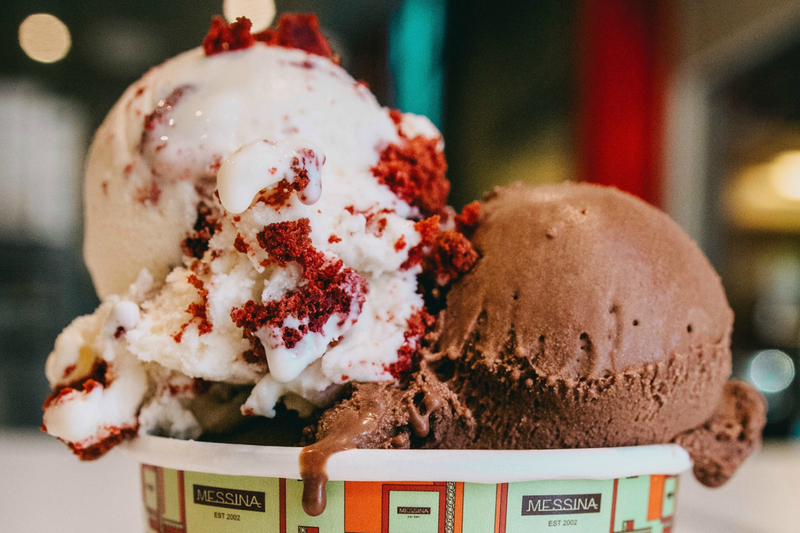 This scream worthy gelateria now produce their own Messina Milk (about 12,000 litres per week) for gelato that’s creamier and more ethical than ever. A farm of very happy Jersey cows are milked just once a day, meaning less stress and quality results in your afternoon treat. Moo-sic to our ears. No animals were harmed in the making of White Rhino – Surfers Paradise’ upcoming multi-million-dollar restaurant and bar. This beast will be two-storeys of premium eats and drinks, set to open around October in the Circle on Cavill precinct. Something is brewing in Northgate… Aether has announced that they’ll be opening a second brewery and taproom in the very suburb, giving you every excuse to catch up over craft beer and kakuni in brand new digs. First you get the sugar, then you get the power. Melbourne’s internet-breaking Candy Museum is coming to Brisbane from September 23! Sugar Republic will take to Fortitude Valley in a burst of ball pits, neon lights and all the sweet treats you can eat. Sign us tf up. Santorini Sundays are washing ashore at The Greek Club. Come September 16, you’ll be lounging around on the Grand Balcony with a pomegranate mojito, fondly remembering that Greek romance you never had as you’re presented with plates upon plates of lamb yiros sliders, haloumi filo with truffled honey, pork belly souvlaki and more. Ready, spaghetti, go. Festitalia is flocking back to Newmarket on October 14, just the way nonna used to make it. If it’s Italian – it’ll be there, throughout a wave of markets, entertainment and exhibitions. Hidden Lanes Festival has come out of hiding, and come October 13, you’ll be seeing The Valley in a new light. Bakery Lane, Winn Lane and new kid on the block, California Lane, will provide a day of music, eats, sips, fashion and art with live DJs and bands throughout the night. Party on Wayne. Wine glasses at the ready – Langton’s Classification VII is coming. On September 19, Langton’s will be offering over $15,000 worth of Australia’s most prized wines for your tasting pleasure. This unique event will celebrate the release of the 7th edition of Langton’s Classification, which you’ll be able to do with cheese and charcuterie amidst industry experts and owners. Get tickets here.